Wonderful waxy red-maroon flowers with slight pale yellow centers. The foliage is a gray-green almost basil like. 'Burgunder' blooms from early June through autumn with a plant height of 23-29 inches and a width of 12-18 inches. It is a major attractor to bees, butterflies, birds and resistant to rabbits and deer. Gaillardia 'Burgunders' require full sun and well-drained soil. 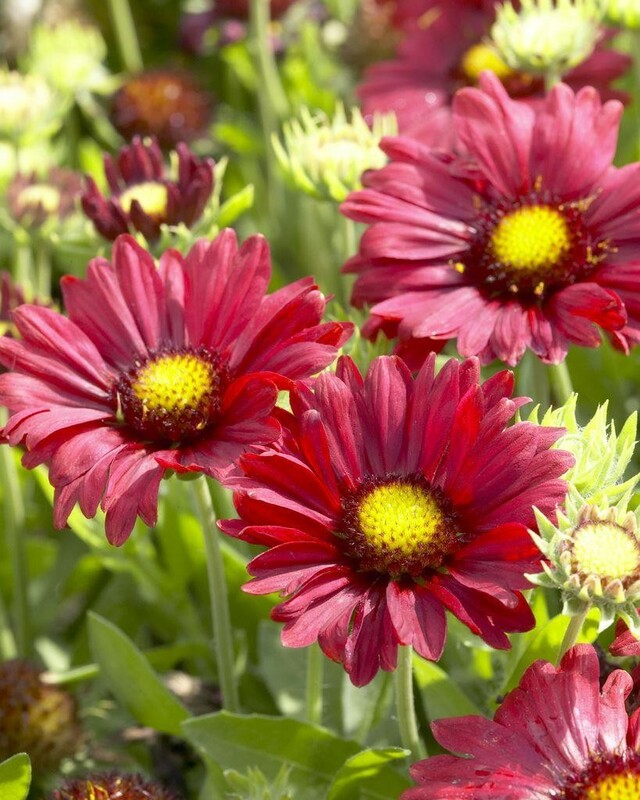 Gaillardia will do best in soil that is not too fertile and should not be over watered. For the perfect site, try planting in sunny borders, dry or windy sites, in mass plantings or in containers. 'Burgunder' will also produce long-lasting cut flowers.